Recent Installation at a large food manufacturer shows how we can keep your operation well oiled. 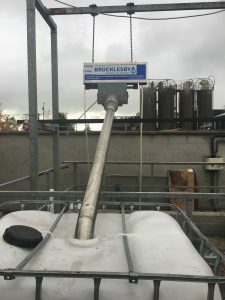 Oil Equipment is one of our many specialist services at Brocklesby and our expertise in the handling of difficult oils, fats and grease recovery has ensured our customers tanks remain much better maintained and over a longer period. Our recent installation below shows oil skimming recently installed. With free on-loan equipment, bespoke equipment design and specialist oil recovery units to relieve pressure from DAF systems, it has meant that our customers costs on DAF chemicals is significantly reduced and has a very positive effect on bottom line profit. And this has an uptake in revenue, adding another stream for a company’s top line. At Brocklesby we see oil recovery as a must do, it enhances profit, keeps sites clean, manages environmental risk, and has a positive health and safety impact. It also reduces possible fines from utility providers keeping discharge consents within permitted limits. We also offer tank cleaning services to keep your equipment working at its optimum and storage of fats and oils at maximum capacity. We take care of customers across the UK and Republic of Ireland, lending our years of expertise to ensuring that Equipment is running correctly, oils and fats are recovered and brought back to our 10-acre site on our own in-house transport. We recycle everything into renewable fuel for power generation and road transport fuels. But there are further benefits, by replacing fossil fuels our renewable energy delivers a carbon reduction in excess of 84%. Our onsite Biogas plant gives us the opportunity to recover food as a renewable energy too. Please contact Brocklesby at any time for fats oils grease collections, recovery equipment, tank cleaning and food waste recovery needs. The first one of our new MAN TGX 26.460’s Euro 6 trucks being handed over to one of our drivers, Steve Snow (pictured with our Transport Manager, Kath Milo). Over the next 3 years we will take delivery of a further 9 of these vehicles and have gone for a streamlined grey finish. The innovative safety and driver assistance systems, (including Adaptive Cruise Control and Lane Guard) help our drivers stay particularly proactive and safe in difficult situations. The cab design offers an upgraded rest area, revised cockpit, plenty of storage space and a practical cool-box, giving the drivers improved, overall comfort. We will be taking delivery of 3 more trucks this year, with the following 6 in 2019 and 2020. We have recently received our Investors in the Environment Green award – the highest level award achievable! This award showcases the hard work and dedication shown by our staff to continually cutting our carbon emissions and improving the environment. Everyone has worked hard to get the site looking and operating the best it ever has, a big well done to all! Brocklesby is delighted that the biogas anaerobic digester is now fully operational. 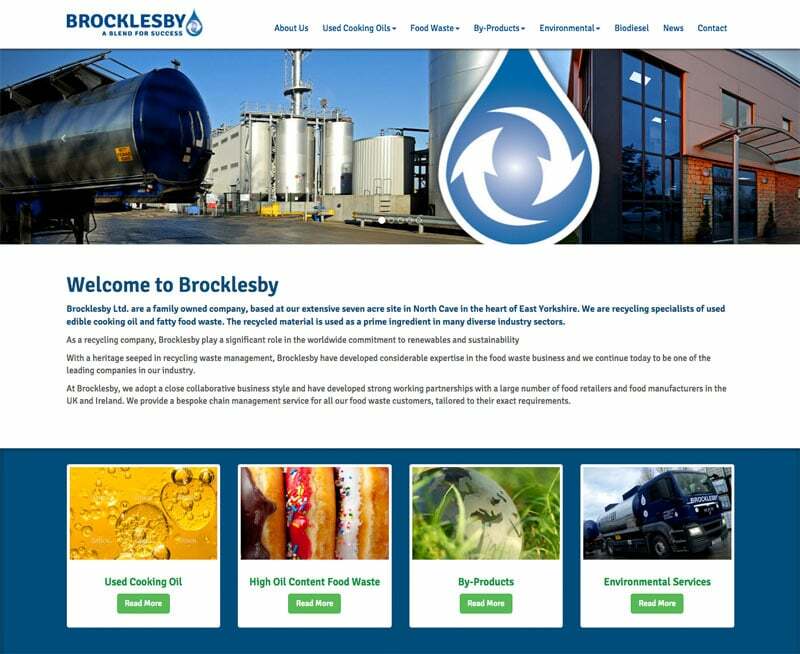 We are delighted to announce the launch of the new Brocklesby website. In line with our continued expansion and innovation, our new website showcases our expertise in recycling edible oils and food fats. 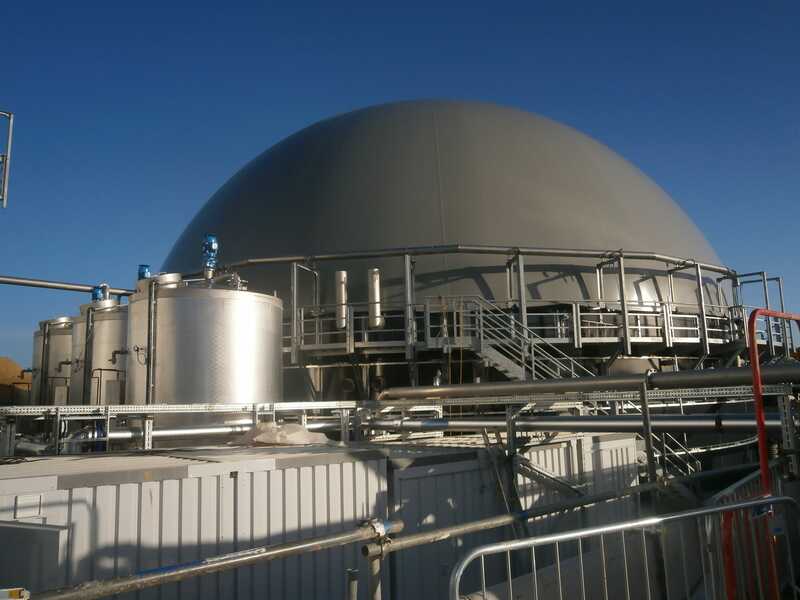 With the commissioning of our new anaerobic digester we are proud to play a significant role in the worldwide commitment to renewables and sustainability. Our website reflects our commitment to quality and our mission to recycle 100% of collected waste (zero waste to landfill). Please revisit our website regularly to view the latest developments and news at Brocklesby. This week saw the arrival of 5 new energy efficient fork lift trucks with automatic shutdown of engines when not in use, helping to reduce our carbon foot print and save fuel.